PHOTOS: Alaska Governor Bill Walker illustrates about how much is left in the northern state’s budget now that oil prices have gone south. (Alaska Dispatch News photo.) 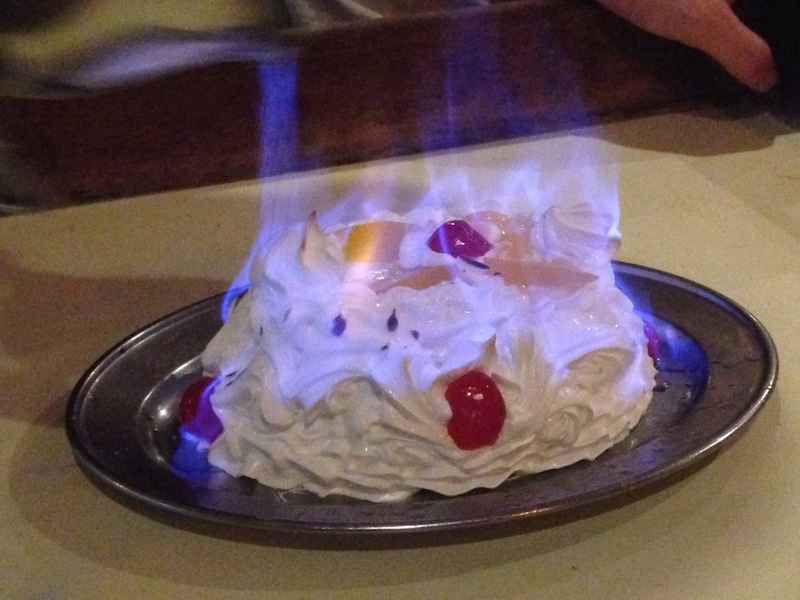 Below: The wild rose, official flower of both Alaska and Alberta; baked Alaska, going up in flames. Looks like Alaska is totally … baked. As in, done like dessert. We’re talking about the northernmost U.S. state, the one just north of British Columbia and west of the Yukon. “A state budget that was a point of Alaskan pride – and envy from around the nation – lies in tatters as revenue that flowed from selling crude oil from Prudhoe Bay over the past four decades has been swept away,” the Times report stated. These facts are important to Canadians because the Fraser Institute – a market-fundamentalist “think tank” based in Vancouver – is the Canadian media’s go-to source for how to run a provincial or national economy. 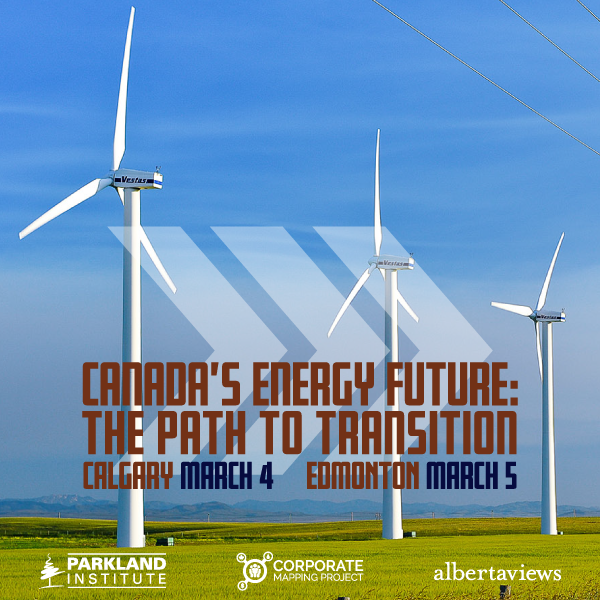 And what the Fraser Institute constantly advises – to sustained applause from the usual suspects in Canadian media and business circles – is for oil-rich jurisdictions like Alberta and all of Canada to run things just like Alaska did. The kind of tax reform the Fraser Institute had in mind, of course, is the kind that shrinks or eliminates corporate and income taxes, especially income taxes on the very rich, and shrinks government to a size that, as neoliberal patron saint Grover Norquist famously put it, it can be drowned in a bathtub. These Fraser factoids were contained in the document entitled “An Economic and Fiscal Comparison of Alberta and Other North American Energy Producing Provinces and States.” In it, the authors engaged in the usual games Fraserites love to play, including cherry-picking data, the better to reach the conclusions their ideology demands. So the group compared Alberta only to nine other North American jurisdictions deemed by its propagandists to be “energy rich,” while ignoring such oil-rich North American jurisdictions as California and New Mexico whose tax structures and economic outcomes did not support the “researchers’” predetermined conclusions. Why these particular jurisdictions? Most likely because the two missing states’ governments were at the time in the hands of Democratic administrations, ideologically impure from the Fraser Institute’s dogmatic perspective. Of the seven states considered for this comparison, all but Colorado were controlled by the Republican Party. More seriously, the Fraser’s factoid fabricators ignored all petroleum-rich jurisdictions outside North America, because that allowed the authors to concentrate on low-tax jurisdictions with mostly smaller energy sectors than Alberta’s. This also gave their “researchers” additional ways to jostle the pinball machine in favour of their preordained conclusions. Ignoring higher-tax, higher-royalty jurisdictions like Norway and the United Kingdom also allowed the Fraser Institute to evade the issue of appropriate levels for royalties, which was almost entirely ignored in that 66-page report, by not having to confront the fact that as long as oil prices remained high enough, corporations would extract the stuff regardless of tax rate or structure. Well, whatever. The Fraser Institute is going to do what the Fraser Institute does, which is serve the economic agenda of the corporations that bankroll it by producing shoddy research and handing it out to lazy, uncritical journalists. Needless to say, this is not what’s needed by an economy desperate for stimulus. In addition, Alaskans are facing demands for higher taxes. Gov. Bill Walker, a former Republican who now styles himself an independent, has concocted a new tax scheme that will hit working class taxpayers hardest. But Gov. Walker wants corporations to pay a little bit more too. Not unexpectedly, the energy industry has vowed to fight that possibility to the bitter end. 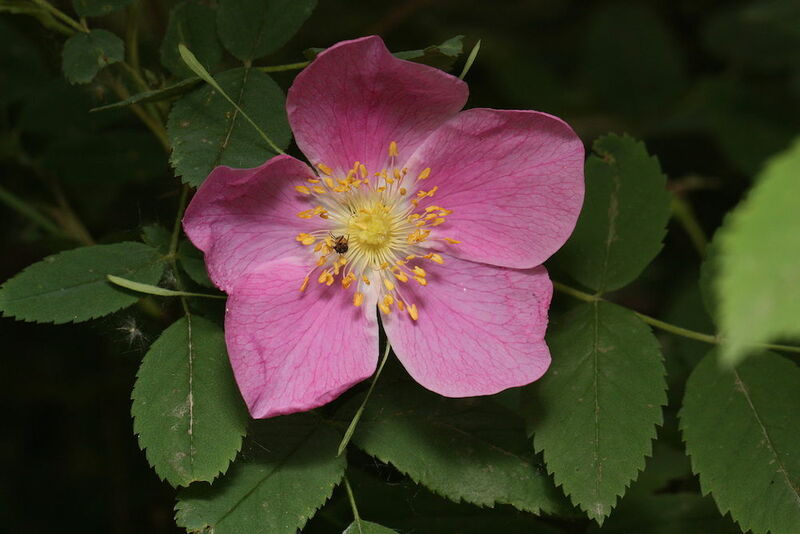 Well, perhaps oil companies can bankroll a new political party and call it the Wildrose Party after the state’s official flower. Mind you, with a name like that, who knows what kind of market-fundamentalist lunacy it might promote? Just to restate the obvious, this is where the Fraser Institute’s recommended policies get you. At least in Alberta and Canada, after years of much the same thing, citizens have elected governments prepared to run deficits and raise taxes if necessary to keep the ship of state afloat and the economy functioning. Of course, none of this really matters to the Fraser Institute. Its job is to make the case for low taxes demanded by its corporate paymasters, no matter what the facts say. Now that oil prices are low, its arguments and the facts it cherry-picks may change, but the conclusions its “research” draws will remain the same. The logical conclusion from this article is that market fundamentalism in our economy brings prosperity to all and is the way to go. We should go one step further, in eliminating corporate taxes entirely as they are passed on to us all in the form of higher prices, something that affects the lowest income people the most. That is the dumbest idea I’ve ever heard. Corporations do not need tax breaks, they need to be taxed more and have the extra tax revenue used intelligently by the government. Giving corporations tax breaks DOES NOT equal cheaper prices for consumers, it equals fatter margins and better salaries for corporate top tier employees. WE NEED HEAVIER INVESTMENT IN RENEWABLE ENERGIES AND THE TECHNOLOGY AND TRAINING NEEDED TO IMPLEMNT THEM. Retrain the work force from the environmentally devastating tar sands etc. that should be left as it was meant to be… Dead dinosaurs. Canada’s oil sands industry is facing one of the bleakest markets in years, hammered by plunging U.S. and global crude prices even as new pipelines have cleared logjams on key export routes. Western Canadian Select (WCS) oil sands crude has fetched an average of roughly $15 (U.S.) under the headline North American oil price so far this month, putting the value of Alberta’s heavy crude at just under $20 a barrel as of Monday’s close. My bet is its going to be 6 years before we see any kind of improvement in oil. Further there never will be a full recovery. It was about 2 years ago now that I predicted 20 dollar per barrel oil. As usual with David, hard hitting, no punches pulled, get the facts on the table. Thanks for continuing the drive for real journalism. It is safe to say that I won the gentle men’s bet you proposed in December, 2014. You bet that oil prices would recover within a year, and I bet the opposite. I’m not particularly happy about winning the bet, yet there it is. So I did! But there’s not much risk in a “gentleman’s” bet with an anonymous and unidentified person, is there? That said, I remain, apparently alone but for the Russian oil minister, reasonably optimistic about oil prices, although I have revised my timeline up a little and my price estimate in the other direction. Let’s say $90 US within 18 months. No bets. It’s simply a matter of supply and demand, unless, of course, President Obama knows something I don’t, which is probable. Certainly no tangible risk. The only risk in a gentlemen’s bet is the risk of damaging one’s reputation for making accurate predictions (regardless of whether the other bettor is identified or not). It is fun, though. Anonymous should simply identify himself, then he could get paid off. An unpaid bet is a burden to David…who did a wonderful job on this piece. I used to have baked Alaska as a kid. It was delish. How could a state with Sarah Palin leading for a time go wrong. The answer is easy-it was easy. During the Lougheed era, there was a clear sense that managing our nonrenewable resources required a different paradigm. By the time the cowboy economics of Klein were securely in the saddle, Alberta’s fiscal nightmare was irreversible. They were all too eager, along with the Fraser Institute and their cheerleaders, to leap into the precipice. The good ole boys lined their pockets and pumped the oil, padded the government infrastructure contracts and stashed away private construction fortunes, and privatized public assets into their private cash cows. During the same period, family farms were consolidated into a mongrel model of agricultural production consisting large, disparate land holders with a common thirst for petroleum based fertilizers and clouds of chemicals -the same gang that is convinced Bill 6 is an expropriation Bill. Another death blow by the cowboy capitalists turned over the two majority beef processing facilities to Americans and South Americans with as much public money on the floor of the abattoirs as bovine blood. Hell, key players of the Fraser Institute rules finessed a deal to get public lands, a public golf course, all the expenses, into a cash cow in Kananaskis. I believe, and have believed for years, that many of the points in this comment are profoundly true. Apparently no one, though – no journalist, no historian, no forensic accountant, no police officer – has been moved to really determine where all the money went. Mr. Lougheed, as I recall, was still warning us to take it easy with oilsands development in the last months of his life. 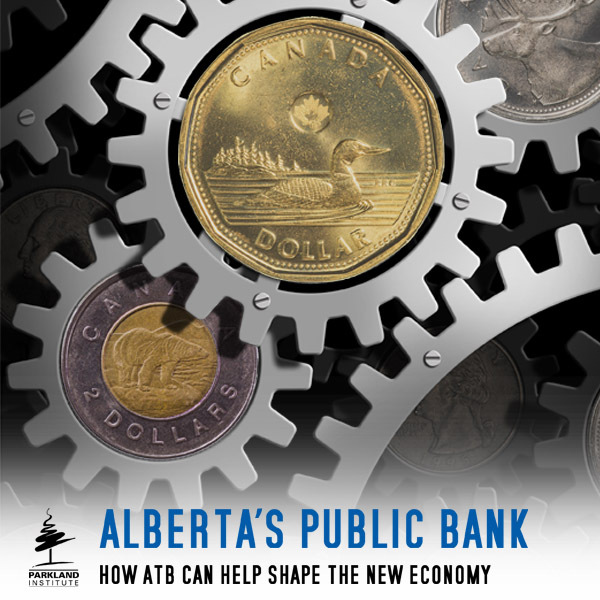 While the Fraser Intsiute has been exposed, so has the progessive idea that Alberta could develop a trillion dollar sovereign wealth fund if only the gave up the flat tax and raised corporate income taxes. Perhaps the NDP will realize this and institute a consumption tax and lower public sector salaries to make us more similar to Norway. I am not holding my breath. 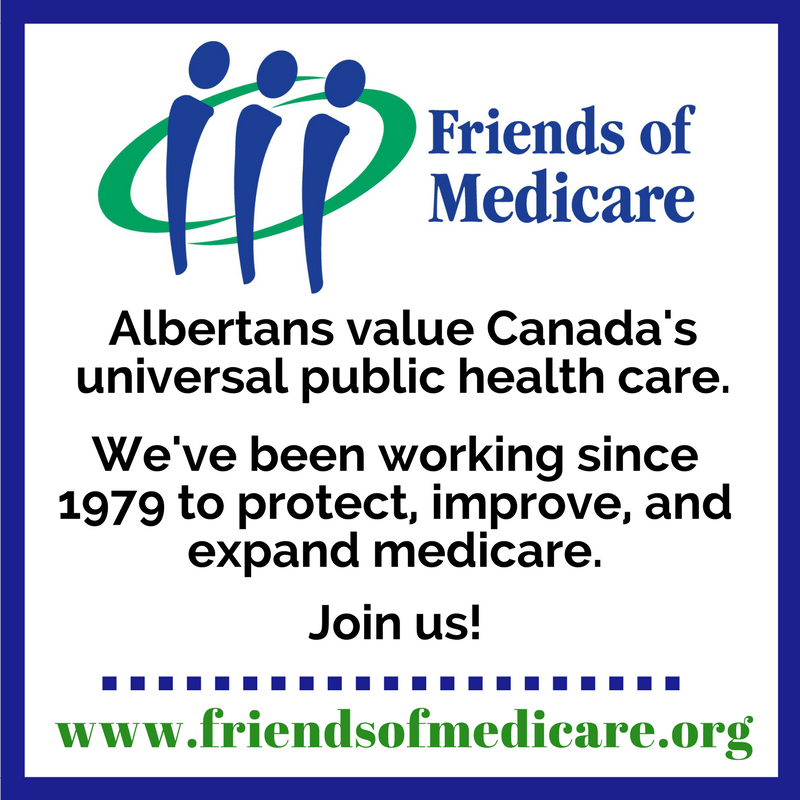 Of course Alberta can develop a heritage fund like Norway. It will just take longer and the time to start is now. Public sector wages make almost zero difference to this timeline. Do the math. This makes no sense. Most of what government money is spent on is wages. The higher the wages, the higher government spending. The higher government spending, the less there is left over to save. You could argue that maintaining public sector wages is more important than savings, and we can debate that, but you can’t argue against basic math. Wages are trivial compared to the revenues never collected on the oil and gas owned by the people of Alberta (Crown). Government does not have a spending problem, it has a problem with parasites in the oil and gas sector. If we even went back to the royalty levels of the Lougheed administration the present government would have a substantial operating surplus. The Parkland Institute and others have published papers demonstrating this ad nausium. The biggest spending problem government has is the money wasted on private contracts for things that should be done in-house by government employees. This is another area where the parasites of the private sector need to be removed. I have no doubt the fiscal situation of Alberta would have been better with an appropriate royalty regime. What in saying is that is if people want to replicate Norway and have a significant sovereign wealth fund, wage control would be necessary. I’m a physician, and if wages stayed the same, I would be happy. i seriously doubt private contracts are a significant source of costs compared to the wages of teachers, nurses and physicians. But if all that you say is true (on wages and royalties) it should be relatively to easy for the NDP to massively improve Alberta’s fiscal situation without addressing wages or adding a consumption tax. We’ll see if that happens. The first rule of finance is “pay yourself first” something the Ab. Gov. stopped doing on royalties decades ago. Worrying about wages, or physician salaries for that matter, is just a diversion from the main loss. The Cons are masters of three card monte. A private contract for a service has to build in a return on capital stock, interest costs, and at least a 40% mark-up for profit. Otherwise, why bother? In contrast in-house government services only have to pay wages and benefits which are a small part of the overall financial picture. Capital costs for buildings and equipment are ‘sunk costs’ for government so they can be costed at break-even rather than having to generate a monetary return on their cost like a private operator must do. On a $2mil MRI or a $1b hospital the government cost advantage ads up very quickly and the spread will be even greater when interest costs increase. The return on government facilities, equipment, and salaries is called “civilization.” Taxes and royalities are the price we pay and Norway demonstrates we were on the right track before the drunks and parasites took over.